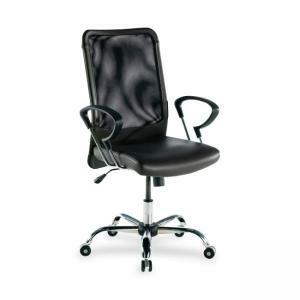 Executive high-back chair features a rich leather seat with mesh back. 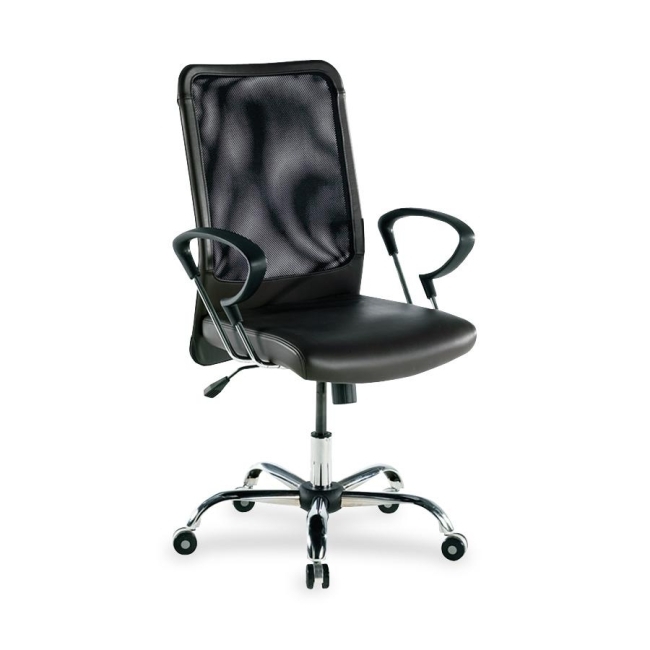 Functions include pneumatic seat-height adjustment, 360-degree swivel, tilt and tilt tension. High-back chair has a chrome-plated five-star aluminum base. Meets the CA117 fire retardant standard.